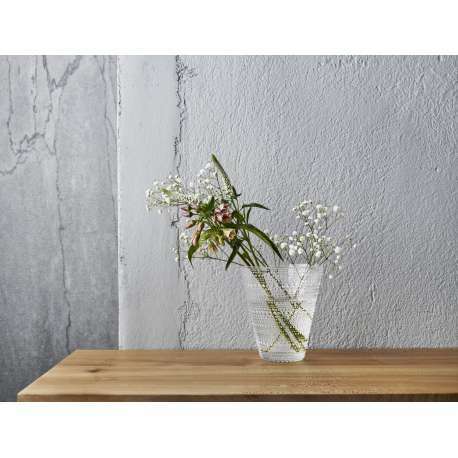 Buy Iittala Kastehelmi Vase 154mm clear by Oiva Toikka - The biggest stock in Europe of Design furniture! Kasthelmi’s unique raised droplet design is inspired by morning dewdrops. The Kastehelmi vase is ideal for simpler bouquets. The vibrant aqua colour makes this a striking centerpiece to your table or an elegant detail to your home interior. Made in Finland.